Effective leadership is essential in any sports organisation, both in the boardroom and on the training pitch. 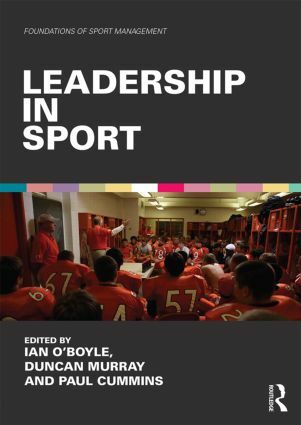 Leadership in Sport is the first textbook to examine sports leadership in the round, across both management and coaching environments. It includes a dedicated section to underpinning core leadership theories, and employs a number of case studies throughout to show how best practice is applied in real world settings. Key conceptual questions—the nature of leadership, its role in sport, styles of leadership, what constitutes ineffective leadership—and other contemporary issues are also explored to give students and practitioners the most complete and clear picture of contemporary leadership in sport. With useful features in every chapter, such as key terms and review questions, this is an essential text for sport management or coaching degree courses.